Imagine this: You are a person that is a bit particular and slightly neurotic when it comes to your close. You seldom buy anything, but when you do — it’s definitely something you just have to have, coveting it passionately, convinced that it’s a piece you can use over and over. So you throw caution (and budget worries) to the wind, pick-up the item and headed to the fitting room. Everything went as planned until you reach the part where you need to pull up the zipper and close the buttons. It just wouldn’t budge. So you huff and puff and you try to squeeze your belly until you grow frustrated. …and in your head, you already know that nothing in the store fits you. Well that was me last Saturday. 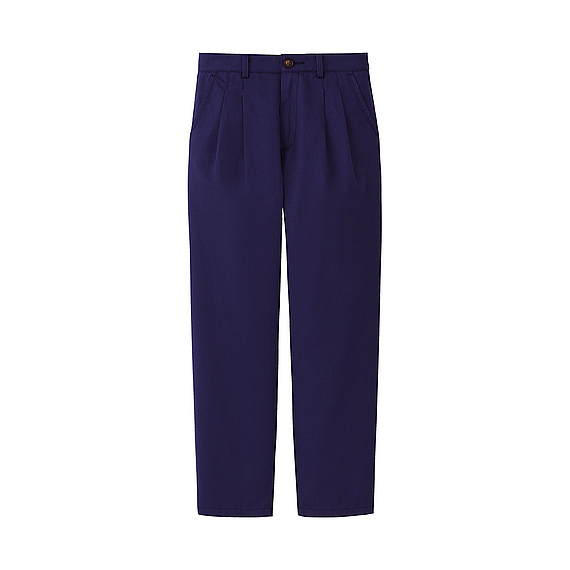 After seeing a Women DI G.V.G.V Project pants in dark blue, marked on sale! I was trying to rebuild my wardrobe to make it more casual and corporate-looking. Sadly, the recent turn of events in the kaisha has dictated that I clean up the wardrobe and say goodbye to my Shibuya-Harajuku costumes. I don’t know when we’ll have the new HR head, but I reckon she or he won’t be a fan of my dyed-blonde hair and Tokyo street fashion-style clothes. I had to stock on sensible pants, long-sleeved blouses and pumps. Sadly, the perfect blue-colored pants just won’t fit me. The label says it can accommodate a 73 centimeter waistline. Well, the last time my waist line was size 29 was when I was still a reporter. My current waistline is eons away from that figure already, and it’s been my constant source of grief ever since! I checked the other racks containing pants in dizzying designs and colors, the biggest size was size 29. I checked the stack of jeans, the measurement stopped at size 29. Sadly, I am not a size 29. Far from it. And then it hit me, I might not be able to buy a pair of pants in Uniqlo until I whittle away my disgusting waistline to the size 29 that seemed to be the threshold size for most of their pants. I know that this might be an isolated stocking issue since Uniqlo carries large sizes in Japan and possibly, in their other branches worldwide. Maybe, my waistline is just too big? I don’t know how to address this. Sad and frustrated with my constant battle with the bulge, I bought the cute graphic Maxi Disney dress and consoled myself with how the dress skimmed all the bulges and curves I have come to hate. Yet, deep inside I knew I was again at mercy of my constant battle with my size and my weight.